I woke up this morning and looked outside… SNOW!!! Lots of snow! Sadly, by noon much of it had melted, but it sure was beautiful to see the trees laden with white again. I just checked the Weather Network and it looks like the temps are dropping as the week progresses and by Thursday we should see more white stuff. Whoopee! In my excitement I headed down the basement and pulled my skis out of the storage cupboard. It’s time to get them ready just in case we have enough snow to ski on by the weekend. So where do I start… Many people think that “No-Wax” skis do not require waxing. Wrong. They do not require wax along the kick area (the middle of the ski where the fish scales are) like “Waxable” skis do. They do need to be waxed on the smooth areas on both the tips and tails of the skis. Otherwise the could be draggy in cold or wet snow and require more work to ski on… which is not that much fun. First I clean the tips and tails using a soft clean rag sprinkled with base cleaner or alcohol. 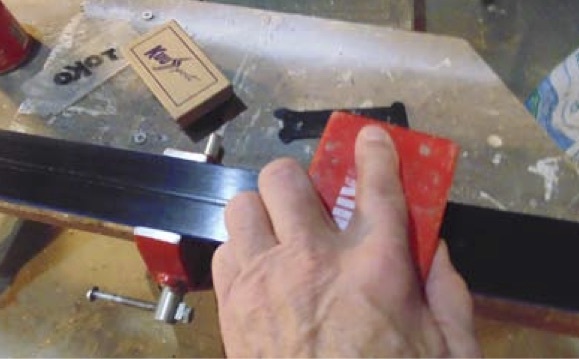 Then check the bases for gouges or scratches. If there are curly strings of plastic, remove them with a steel straight edge or carefully with a knife. You can sand the scratches with 400 grit sandpaper (always sand or scrape along the length of the ski). Now it is time to apply wax. If you use the paste wax that comes in the little tear-away cans, you must the use a cork to work the wax into the base. This is fine, but the wax doesn’t last very long. Hot wax lasts longer and is not that difficult to apply. 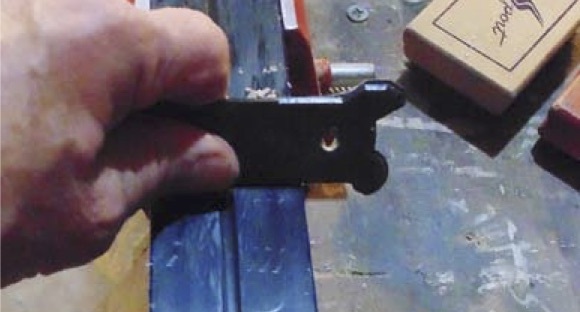 Use an old iron to melt the wax onto the base (the iron should be just hot enough to melt the wax without smoking). Apply the wax to the tips and tails only (not the fish scales). Let the wax cool, then scrape it off with a plastic wax scraper (get one from Suntrail Outfitters in Hepworth). Also scrape out the centre groove with the rounded corner of the scraper. Do this many times until the base feels almost waxless. Then use a brush to structure the base by making long strokes from front of the ski toward the back. I use a mid-temperature wax that generally works for most days. That way I don’t have to keep fiddling with waxing every time I ski. If your skis start to feel draggy again, it is time to wax. This is how I prepare my skis, you may use a different technique. But in the end waxing will make your skiing more enjoyable and preserve your bases for many years.